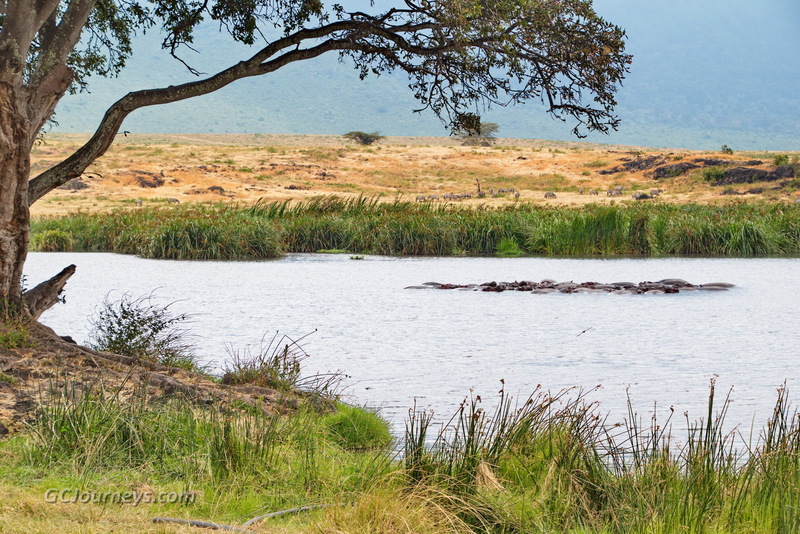 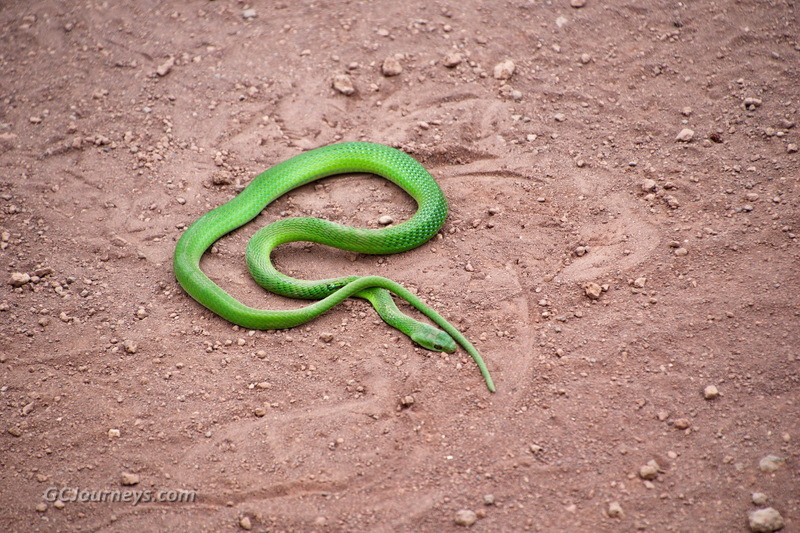 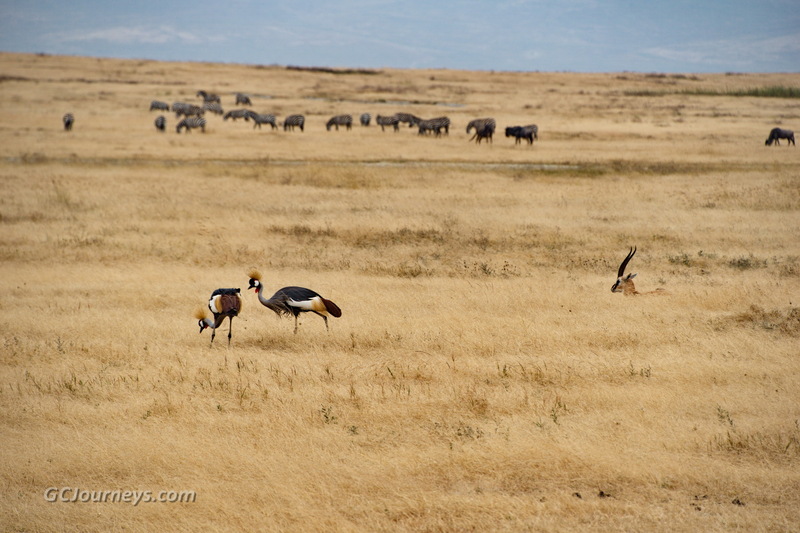 After leaving the Serengeti we drove back to Ngorongoro Crater, which we had passed on the way in five days ago. 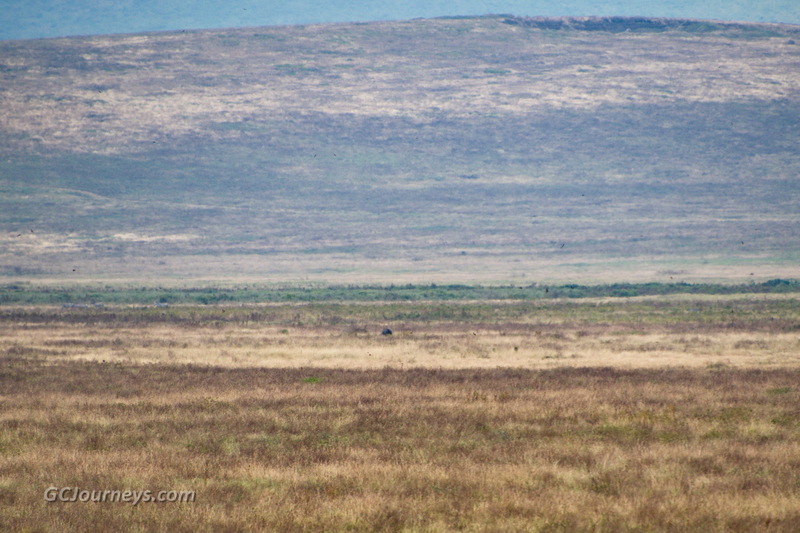 This time we descended from the rim almost 2000 feet down a one-lane road to the floor of the caldera for our final game ride of the trip. 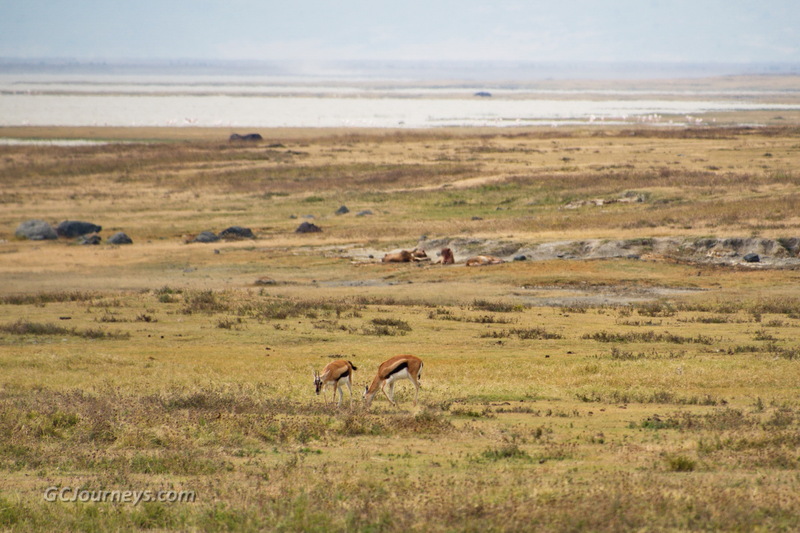 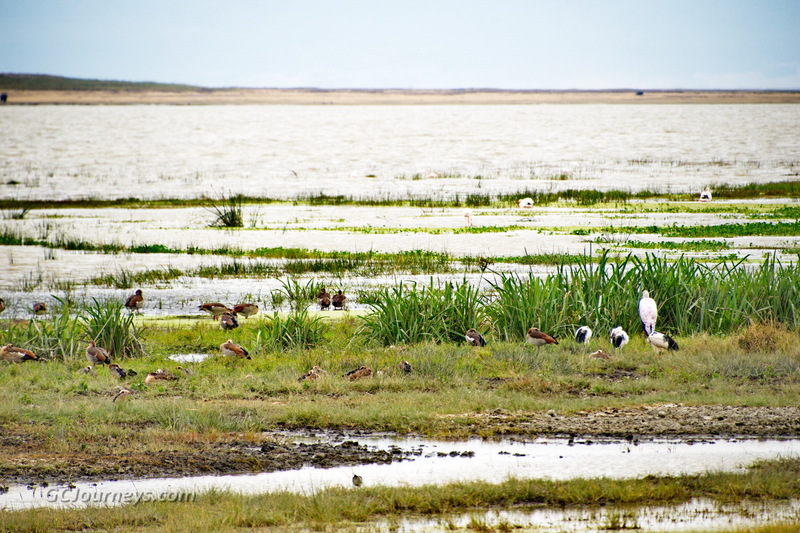 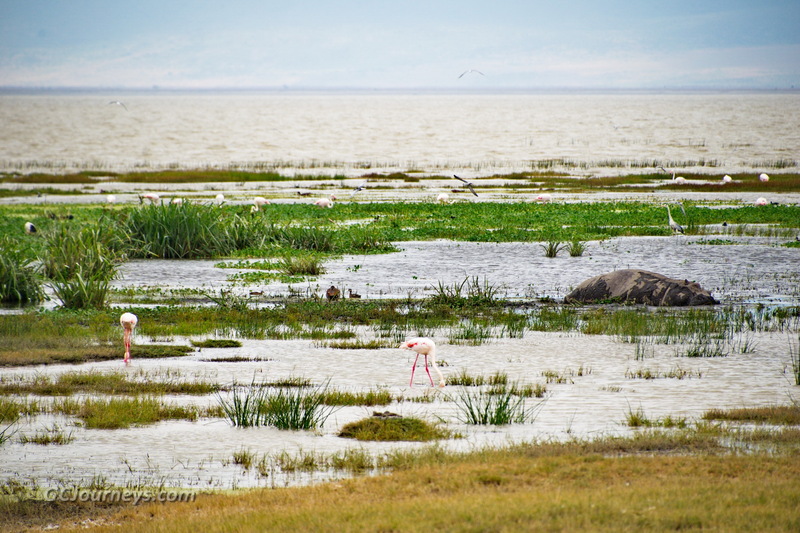 Here we found an abundance of zebras, wildebeest, gazelles and buffalo; as well as many water birds on the shores of Lake Madagi. 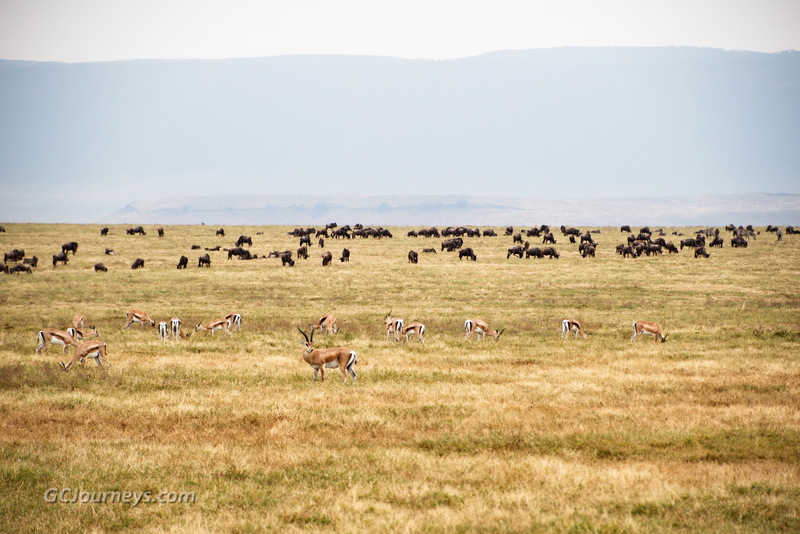 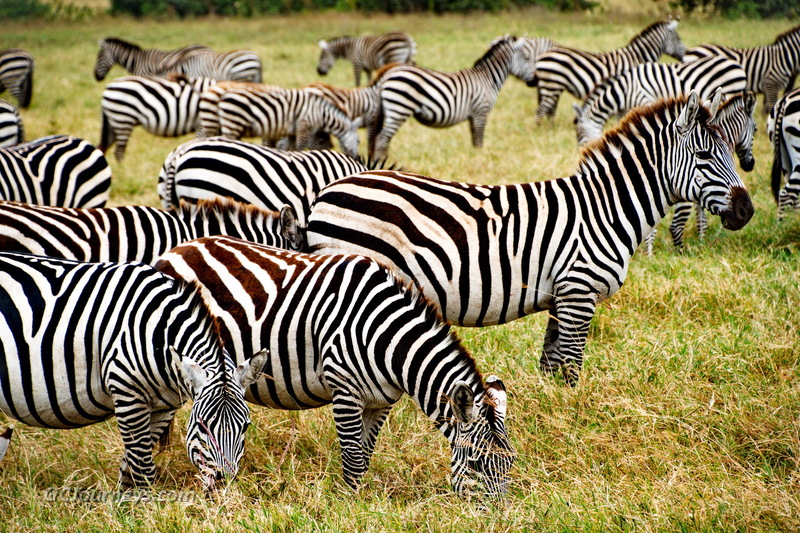 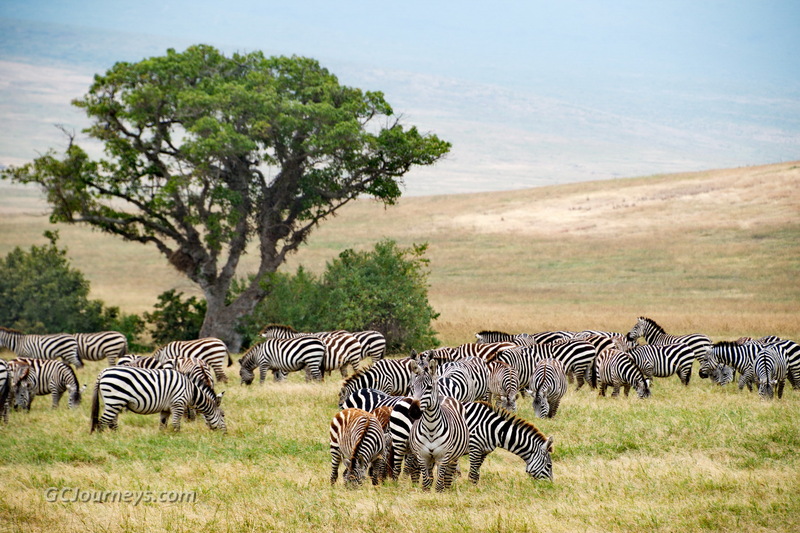 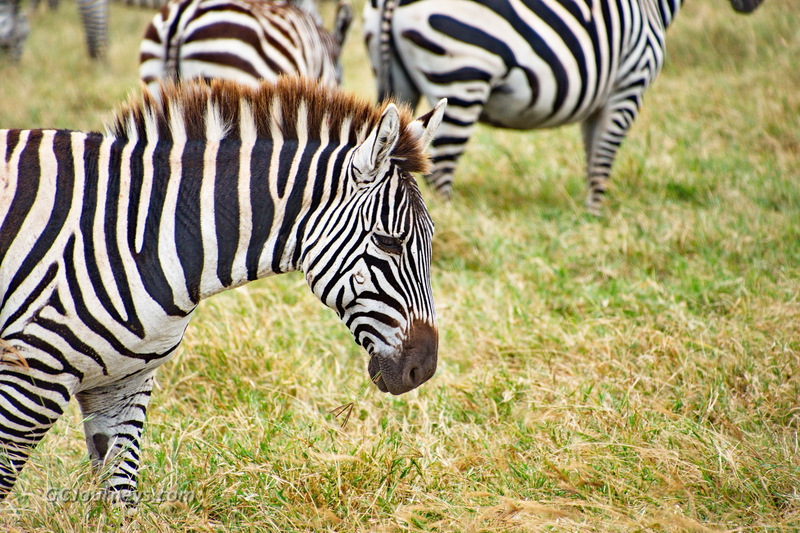 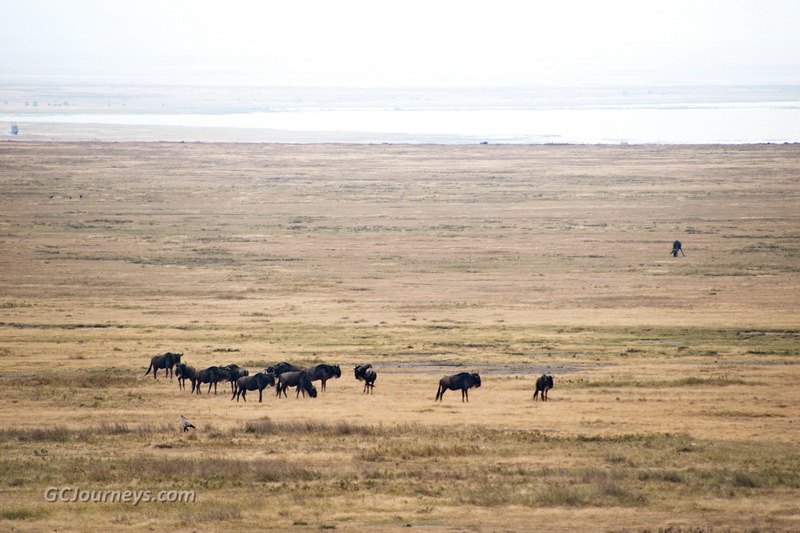 Our safari trip was at the wrong time of year to see the great annual migration of wildebeest and zebras on the Serengeti, but the large moving herds we observed in the Ngorongoro Crater gave us an idea of what that must be like. 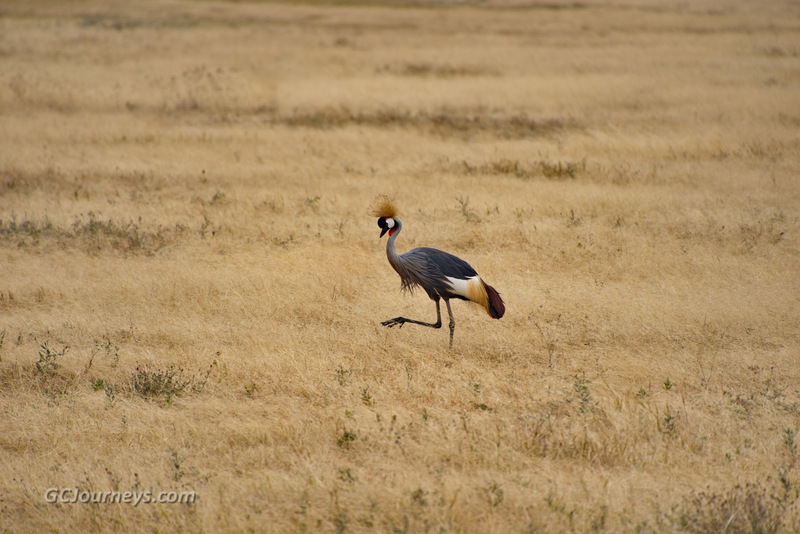 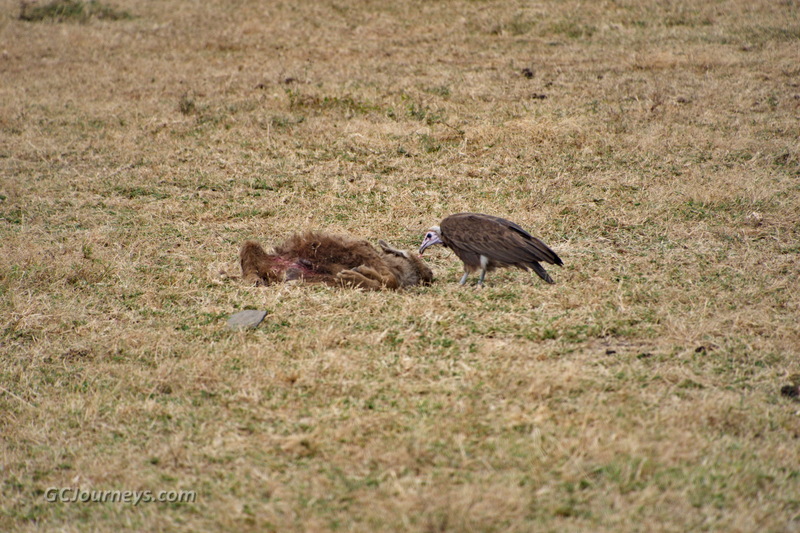 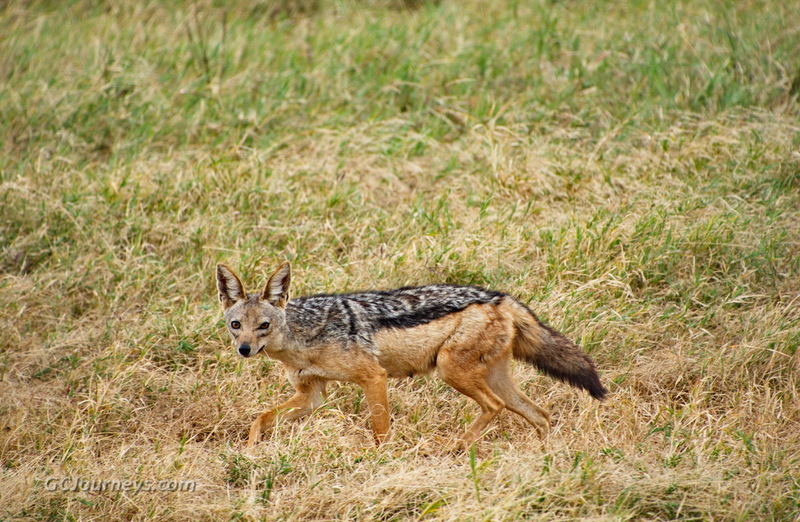 We also saw jackals, hippos, lions, a bright green snake, a hooded vulture feeding on carrion, a secretary bird, grey crowned cranes, and a single rhinoceros too far distant to get a good photo. 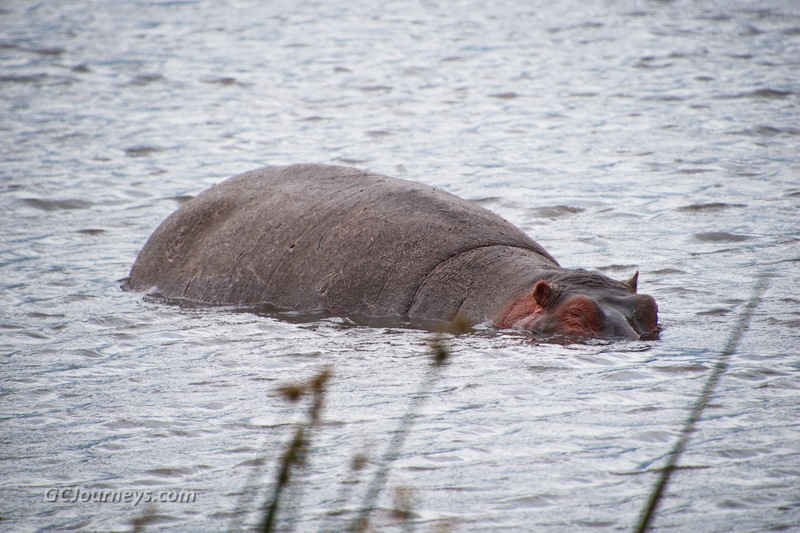 After lunch at a large hippo pond with 50-60 other safari vehicles, we continued on to our accommodation for the next two nights, once again at the Farm Valley Lodge.